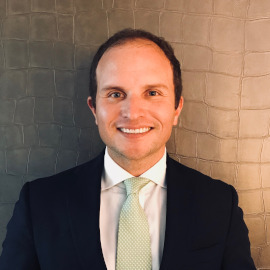 Alvaro Torres CEO, Khiron Life Sciences Corp.
CEO, Khiron Life Sciences Corp.
Alvaro has more than 15 years of experience in the Latin American market, including infrastructure projects and finance, management strategy, team development, and mergers and acquisitions. He manages the expansion of Khiron Life Sciences Corp., a Canadian integrated medical cannabis company with core operations in Colombia. Previously, Alvaro acted as head of business development for SNC – Lavalin, Colombia, where he was instrumental in growing the company from two people to more than 2,000. His prior experience includes management roles in the engineering, construction and real estate sectors.